The true Border Collie is known by how it works sheep and cattle, and by no other standard. In general, a dog that is light on its feet, flowing in its movement, quick to cover its stock, and has great endurance is the most valued. Considered highly intelligent, extremely energetic, acrobatic and athletic. They are often cited as the most intelligent of all domestic dogs. It was specifically bred for intelligence and obedience. Border Collies continue to be employed in their traditional work of herding livestock. Border Collies are very demanding, playful, and energetic. 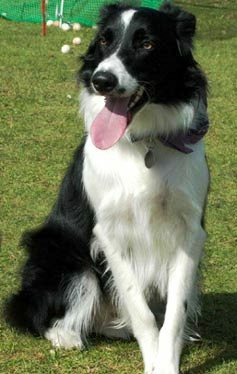 Border Collies are medium-sized dogs with a moderate to thick coat that sheds often. The Border Collie is a working and herding dog breed developed in the Anglo-Scottish border region for herding livestock, especially sheep. Black and white is most commonly seen color pattern of the Border Collie. However the breed appears in just about any color and pattern known to occur in dogs. Black, tan, white or liver and white. Other colors such as blue, lilac, red and blue merle, brindle, and Australian red are also seen. One of the principal registries for Border Collies in the United States is the American Border Collie Association (ABCA), which is dedicated to the preservation of the traditional working dog. The breed was also recognized in 1995 by the American Kennel Club (AKC) after occupying the AKC's Miscellaneous Class for over 50 years. The American Border Collie Association registers approximately 20,000 Border Collies annually.